HOW OLD DO KOI NEED TO BE TO SPAWN? 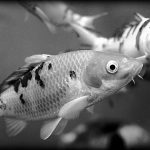 By: Mike Gannon | Posted On: April 19th, 2017 | 4 Comments on HOW OLD DO KOI NEED TO BE TO SPAWN? “How old do koi need to be to spawn?” is a pretty common question among fish keepers. Its a good question too. Check this recent Q and A sent in by a reader of the LOVEYOURPOND blog. WILL KOI AND GOLDFISH EAT FROM THE SURFACE OF MY POND? 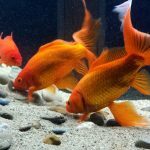 By: Mike Gannon | Posted On: April 6th, 2017 | 2 Comments on WILL KOI AND GOLDFISH EAT FROM THE SURFACE OF MY POND? Hey pond keepers, I get lots of great questions from friends and customers about ponds and fish keeping. Alot of these questions deal with how we feed our fish. Every season Full Service Aquatics handles lots of koi pond water garden projects. Our latest koi pond water garden project in Princeton, NJ took place in January which is an unusual time of year for these projects in New Jersey, but with a rare stretch of warm weather during this time the FSA team took advantage to create a beautiful koi pond water garden.